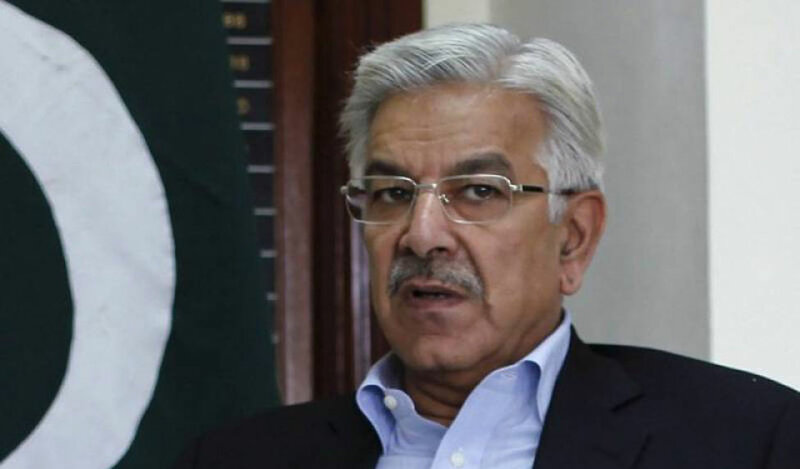 Pakistan’s Foreign Minister Khawaja Muhammad Asif has warned India against launching a surgical strike on the country’s nuclear installations, saying if that happens, nobody should expect restraint from Islamabad. “Yesterday, the Indian air chief said we will hit, through another surgical strike, Pakistan’s nuclear installations. If that happens, nobody should expect restraint form us. That’s the most diplomatic language I can use,” the Dawn quoted Asif as saying at the US Institute of Peace in Washington. India’s Air Chief Marshal B.S. Dhanoa on Thursday said that the Indian Air Force (IAF) has the capability to "locate, fix and strike across the border," in response to a question about handling the tactical nuclear weapons of Pakistan, at the annual press conference in New Delhi. According to the report, Asif urged Indian leaders not to consider such actions as those could have dire consequences. Earlier, Asif, who is on a three-day official visit to US, met US National Security Adviser Gen H.R. McMaster and Secretary of State Rex Tillerson. Relations between the United States and Pakistan became strained on August 21 this year when President Donald Trump announced his new strategy for South Asia and squarely blamed Pakistan for sheltering terrorists in safe havens. He also threatened to stop economic and military assistance to Islamabad and offered India a greater role in Afghanistan, ignoring Islamabad's concerns. Pakistan has since downgraded delegation-level visits, but is still talking to the American leadership on a case-by-case basis.